Our online validation transactions are supported for Electronic Funds Transfer ensuring complete security of the payments. We also undertake offline payment methods such as bank account transfer, cash payment, etc. Over the years, we have become a high-flying name since our 1005 Sunflower Double Wall Copper Vessel Sink is qualitative and deliveries are time-bound. 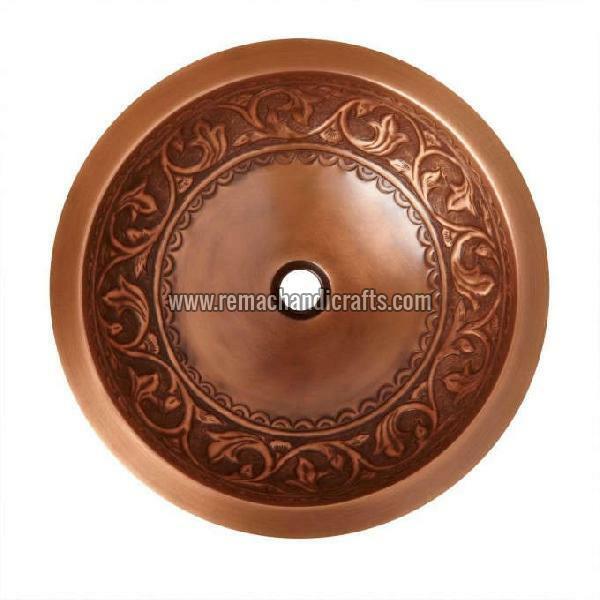 Our 1005 Sunflower Double Wall Copper Vessel Sink is manufactured using high-quality materials. Drain Included - No Made of solid, 18-16 gauges, double-wall copper.